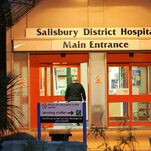 Home NY Times Former Russian Spy Mysteriously Falls Ill in Britain. Again. Mr. Skripal is a retired colonel in Russia’s military intelligence service. He was convicted in 2006 of having passed classified information to British intelligence, MI6, for a decade, in return for $ 100,000 wired to a bank account in Spain.